Rommel was born in the Philippines, but soon moved to California where he was raised in Pleasant Hill. As a College Park Falcon, Rommel wrestled and played football and baseball. These experiences taught Rommel, at an early age, that knowledge, discipline, and hard work are the foundation for success! After high school, Rommel attended California’s own, UC Davis, where he received his bachelor’s degree in Managerial Economics. Rommel has a background in industrial sales. He has also worked as a financial analyst and human resources consultant for a utility company. Rommel helps run a non-profit company called “Project Re-Soled,” which collects children’s shoes and sends them to less fortunate children around the world. As a member of the Windermere family, Rommel also contributes to the Windermere Foundation and the Boy’s & Girl’s Club of Martinez. Rommel is an avid fisherman, loves golf, and is passionate for the outdoors and making the world a better place, as his contributions show. He lives his life by “The Golden Rule” (”Do unto others as you would have them do unto you”). 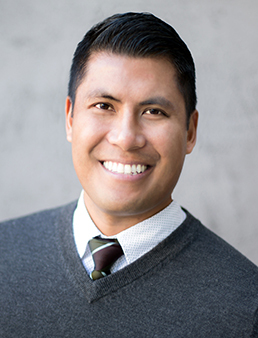 Or, simply put, “Treat others as you want to be treated!” With his positive attitude, knowledgeable business sense, and disciplined work ethic, Rommel is a great example of today’s real estate professional!